The program outperformed the KPI's over 30,000 clicks. Health-focused media performed exceptionally well, even though baking was the top performing. 300x250 media size was the top performer across the spectrum because it is desktop, tablet, and mobile compliant size. Zero Trans Fats was the key message with the most valuable content. Afternoon media had the best interaction. 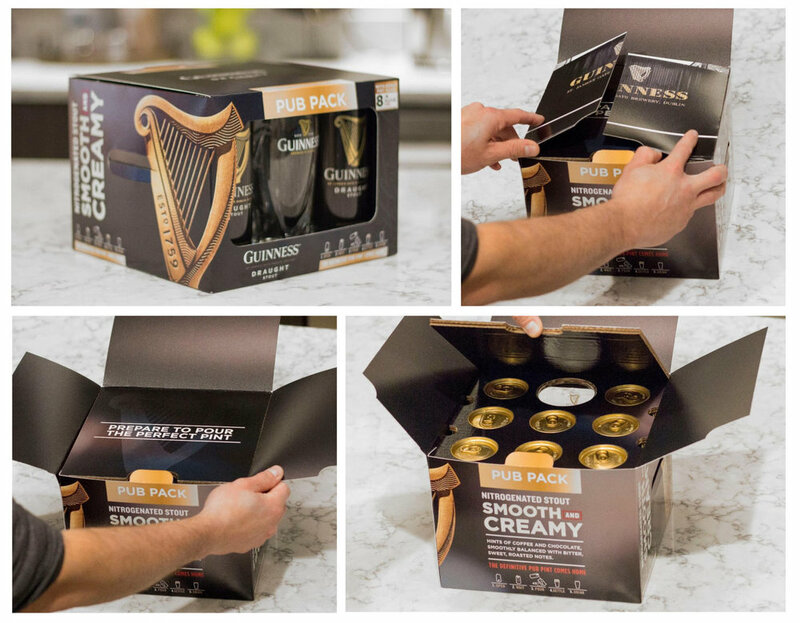 Develop a Guinness VAP to help secure display opportunities and grow the core business. When developing our ideas we quickly modeled various ideas to 3D to visualize our structural concepts and gain client alignment. We then applied artwork and produced a prototype for our client to aid in selling it into the retailer. Develop a case stack display that capable of various configurations allowing the distributor to secure a variety of incremental placements. The display also includes dimensional element that light up. 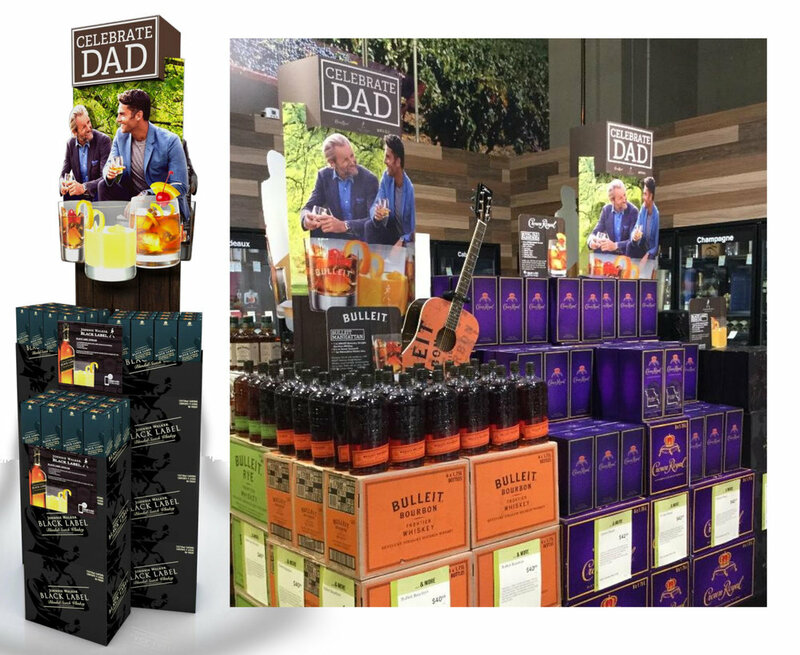 Develop a case stack display to promote gifting spirits for Father’s Day at Total Wine and More. Our display consists of an easy to assemble base structure with additional lug-ons to create a dimensional effect. 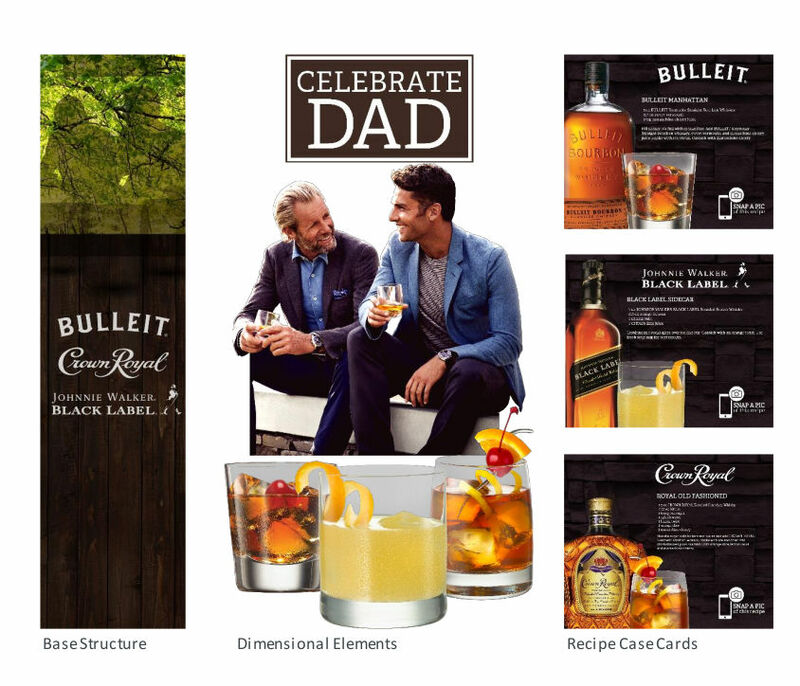 Additionally, drink images are reverse printed on plastic giving them a deep, glossy finish to mimic the glassware they are in and add appetite appeal. 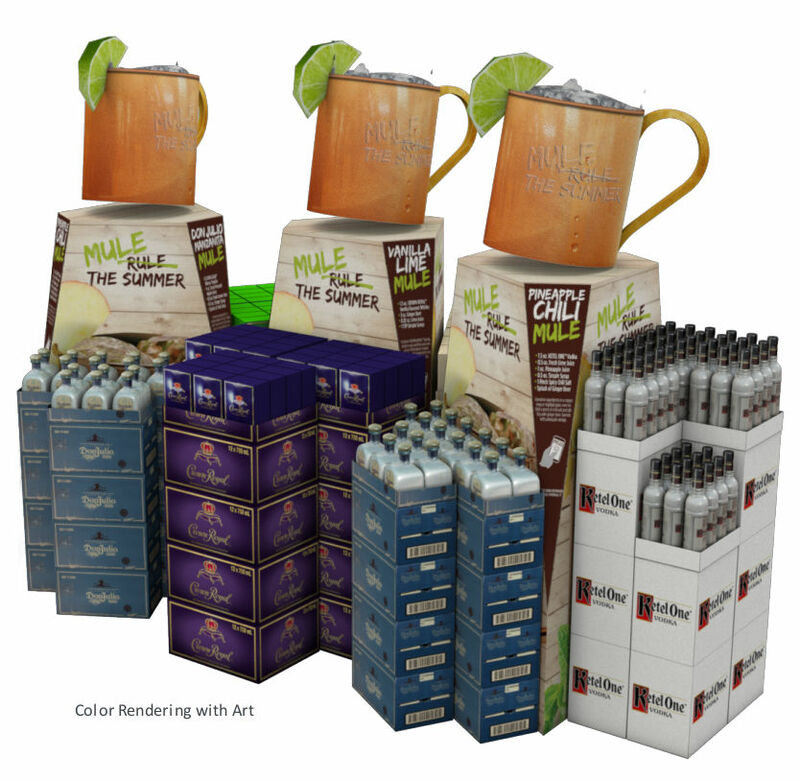 Develop a case stack display to promote Mule cocktails for summer entertaining at Total Wine and More. Oversized foil mugs with dimensional lime garnish and ice help to capture the shoppers' attention. Our message to Mule Your Summer challenges the shopper to incorporate a mule into their summer entertaining, while unique mule recipes help the shopper find the mule and spirit that matches their taste. We would love to connect with you and see how we can help assist in bringing your next project to life.